S.S HOUSING WITH CERAMIC CRUCIBLES TEMP UPTO 800 DEG C. TEMPERATURE CONTROLLER. 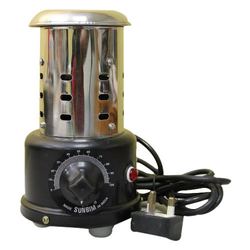 - Temperature Range upto 750oC approx, with energy regulator to control electrical energy/heat. To meet tremendous quality standards, we are offering a quality assured assortment of Electric Bunsen. The Electric Bunsen we offer is widely demanded amongst the clients for its availability in various sizes and specifications. Besides, one can get these products at reasonable rates. - S.S. Housing with ceramic crucibles. Temp up to 800 degrees C with the temperature controller. Electrically operated, Body made of stainless steel. The Unit is fitted with built in energy regulator and indicating lamp. 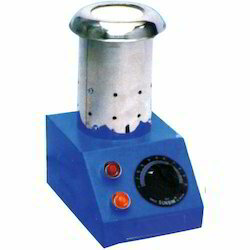 Suitable for heating crucibles with samples. Designed for operation on 230 V single-phase 50 cys. A/C. Temperature range 600 C.